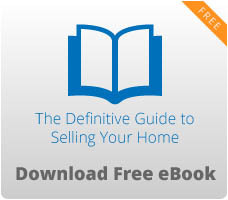 When you are ready to purchase a home, it is good to know how to bid on one. Of course, your Realtor will already know what and how to bid, but it is a good idea for you, the new home purchaser, to know what is going on. There are things to consider before bidding on a home to purchase. Knowing what is happening may help save money, or get the right bid for your dream home. When interest rates are low, it is a buyer’s market. There will be a lot of competition, but do not give up if you do not get your first bid. There will be others, just keep looking. Of course it is always good to know what other tax incentives or other discounts are available for new homebuyers. When the market is flooded with bank-repossessed homes, they are forced to sell them at discount prices. One way the banks attempt to get all they can out of the homes they now own is to send them to public auction. In an auction setting, the bank can have several interested parties bidding the property up in a bidding war. The highest bids win, and the bank wins by selling a home and getting a reasonable amount of money. It is not easy, but a new homebuyer can win a bid on a bank owned property and get a new home at a very low price. First, you need to understand how offers are made. There are things that you, as a new home shopper can do to help the bidding process. Often times a bidder loses out on a great deal, just because he was not prepared. Save up a large down payment. The more you can put down on your loan, the better your chance of winning the bid. Visit your financial institution and have all of your loan application paper work ready for loan approval. Ask for a letter of pre-approval to take to an auction with you. 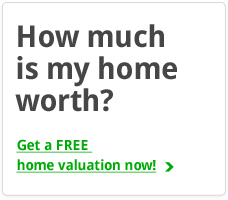 Know the value of the property you would like to purchase. Keep closing time to less than 30 days. Be prepared to make required repairs if purchasing an “as-is” property. There are many advantages to purchasing your first home at an auction. The seller is typically the lender and has no sentimental attachment to the home. They just want it sold for as much as they can get out of it. They also want a fast sale. If you are ready with pre-approval from the bank, you could very well be a few steps ahead of other bidders. Ask questions and be sure you understand just what to expect if you win or lose the bid. New home ownership is in reach of many when the market is flooded with repossessed homes. Take advantage of auctions offered by financial institutions.